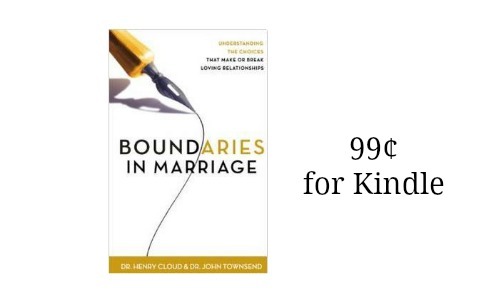 The highly acclaimed book Boundaries In Marriage by Cloud and Townsend is now on sale for 99¢ for Kindle! The print price for this book is $16.99, so that’s 94% off! This book counsels couples on how to communicate and share their boundaries with each other. Google Play is also selling the book in electronic format for 99¢.